← Once Again I’m Traveling! Stuff found at the D.C. Airport! Hello, everyone! I’d intended to start my Christmas Countdown on Monday when I’d first arrived back in Nebraska for the holidays, but I didn’t. As things go, I’ve been entirely caught up with spending time with family. Which I think is as it should be around the holidays. Even so, I have some time set aside today, and I plan to post daily entries from here on through Christmas. Also, in order to fit in the most Christmas goodness that I can, I’m going to put my regular Wacky Wednesdays posts on hold until after the holidays conclude. Let’s get to it! 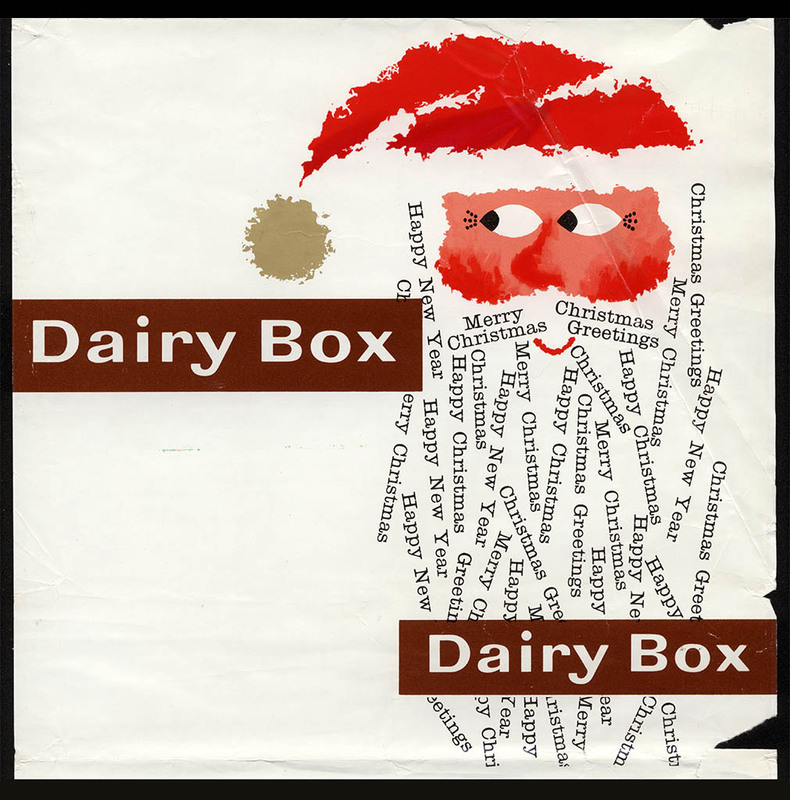 Today I’m going to showcase a great piece of Christmas candy packaging from the 1950’s and from the United Kingdom. It’s a box wrap, meaning this would have been wrapped around a box of Christmas chocolates. This piece is remarkable in my opinion because of its wonderful design sensibility. This is the kind of design you just don’t see too much on candy packaging these days, though I don’t think this kind of awesome design was ever common in candy. This piece came to my collection through a scrapbook I found on eBay some years ago. The scrapbook belonged to a young woman who, in the 1950’s maintained a pen pal in the United Kingdom, and one of the things they exchanged were sweets. After she’d consume the candy, the empty wrappers were what the young woman would scrapbook with. When I turned the page to find this box wrap inserted in the scrapbook, I was blown away. I’d never seen it before and it’s amazing to think that it made the trip to the United States over 50 years ago to eventually find its way into my collection now. 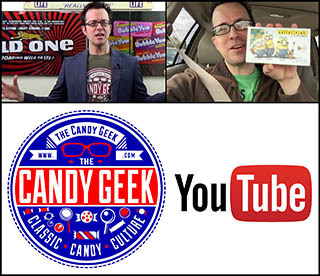 I hope this little post adds to your feelings of holiday cheer, and I hope you come back this week for more vintage and contemporary Christmas candy goodness. Happy Holidays and I’ll See you next time! This entry was posted in 1950's, British, Christmas, Holiday and tagged 1950's, 50's, candy collecting, candy collection, candy collector, candy wrapper collection, candy wrapper collector, Christmas, collectible, collecting candy, confectionery, confections, holiday, packaging, Rowntree, Santa, Santa Claus, sweets, United Kingdom, vintage, vintage candy wrapper, wrapper. Bookmark the permalink.